The 26.1-megapixel mirrorless camera has an all-new X-Trans CMOS IV sensor. 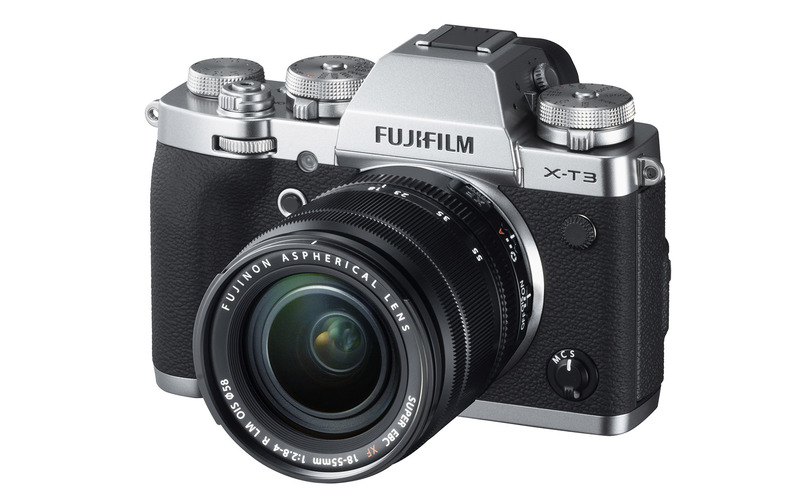 Fujifilm has unveiled the $1,500 X-T3, the newest and most technologically advanced member of its X-Series APS-C mirrorless cameras. It's a follow up to the company's high-end X-T2, already a very capable and well-reviewed model. The X-T3 has an all-new 26.1-megapixel X-Trans CMOS IV sensor and X-Processor 4, a jump up in resolution and speed from the last model's 24.3-megapixel X-Trans CMOS III. With the new hardware, it has "dramatically improved autofocus," said Fujifilm, along with improved image quality and 4K, 60 fps video capability. The X-T3 has an all new, 0.5-inch 3.69 million dot OLED electronic viewfinder with a 100 fps refresh rate and 0.005 second lag that promises to be dramatically sharper and clearer than the X-T2's. Like on the X-H1, the rear LCD is now a touchscreen, so you can tap to focus or even shoot if you want. It's got a three-way tilting mechanism as before, but you can't flip it around to face you for vlogging or selfies. The X-T3 has 2.16 million phase detection points across the entire sensor, and you can choose 117 autofocus points for speed or up to 425 for more precision. The large number of points means that the X-T3 can focus in a lot lower light than the X-T2, down to -3EV compared to -1EV on the X-T2. Face and eye detection is also a lot better and now works in continuous mode, enabling much more accurate autofocus in all shooting situations, said Fuijfilm. You can now shoot at up to 11 fps in mechanical shutter mode with no need for the vertical grip required for such speeds on the X-T2. If you switch to the electronic shutter, you can hit a superlative 30 fps speeds, blackout free, matching the best that Sony has to offer with its A6500 mirrorless. Fujifilm has seriously overachieved on video, too. The X-T3 can not just shoot 4K 60 fps video both internally and externally, but output 4:2:0 10-bit video, the first consumer non-full-frame camera besides Panasonic's GH5/GH5s with that capability. The maximum internal bitrate is 400 Mbps when shooting in HEVC mode, at up to 30 fps. And more excellent news for videographers: The X-T3 is now equipped with both microphone and headphone jacks, without the need for an external battery grip to get the latter. Finally, it has reduced rolling shutter to 11 milliseconds, so it should only be noticeable on quick pans. 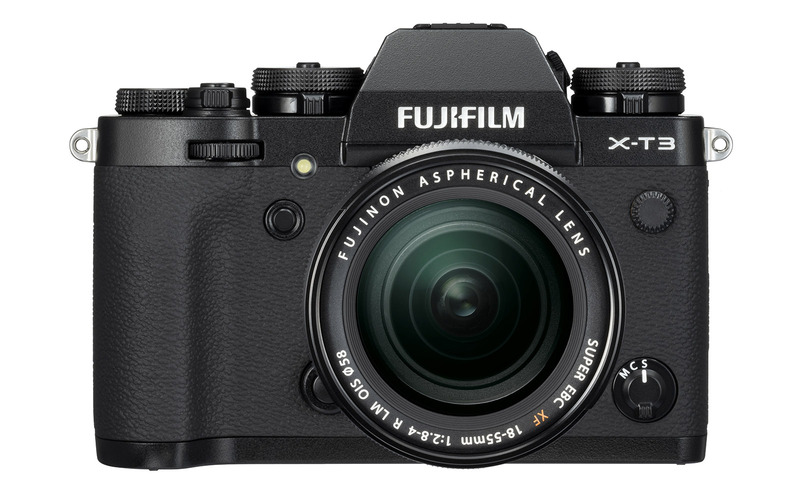 While the X-T3 so far sounds better then Fujifilm's flagship X-H1 on paper, it lacks the latter's in-body stabilization. Otherwise, it's a huge upgrade over the X-T2 in terms of speed, resolution and autofocus capabilities, and now looks like one of the best video-shooting mirrorless cameras on the market, period. The X-T3 will be available on September 20, 2018 in the US for $1,500, or $1,900 with the XF-18-55 kit lens.